The statue of Burns was designed and sculpted by James Pittendrigh MacGillivary, a prominent sculptor at the time. John Speirs paid for the sculpture and donated it to the town council, it was unveiled to the public in 1896 by then Poet Laureate at the site in the town’s moor where it still stands. Robert Burns lived in Irvine in 1781-82, “learning something of town life” and coming to the realisation that his poetry was of sufficient merit to be published. 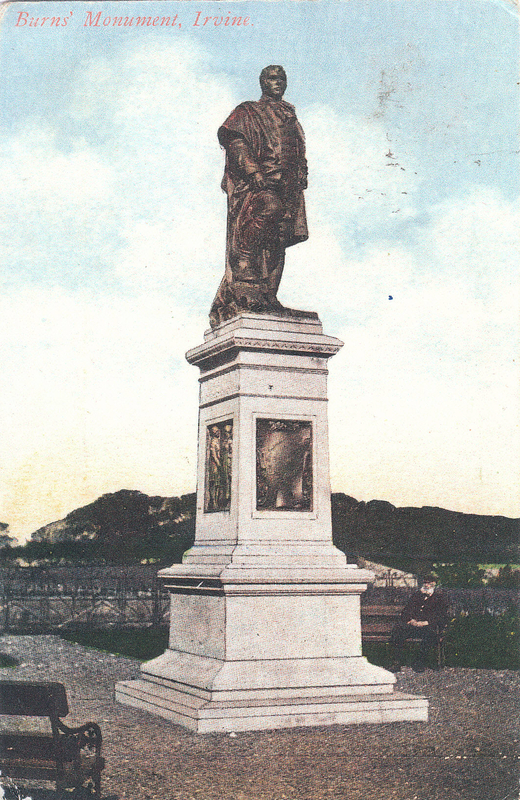 The statue, sculpted by Pittendreigh McGillivray, was donated by James Spiers and erected in 1896 on the centenary of his death.